Product #17032 | SKU SR1TS55 | 0.0 (no ratings yet) Thanks for your rating! 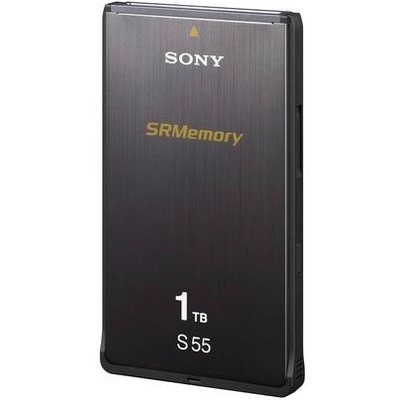 The Sony 1TB S55 Series SRMemory Card is an ultra-high-speed, high-capacity card for SRMASTER series products for 3D production, high-frame-rate recording, and high-resolution digital cinematography up to 4K. The card features a write speed of 5.5 Gbps. Additionally, Sony's original data redundancy method lends itself to high data reliability, and high data security such as card/file password protection and device authentication to ensure that your files stay secure.